Neil Warnock thought his side looked sharper and fitter last night after twice coming from behind to beat Aldershot 4-3 in their third pre-season friendly. Youngster Jamie Smith scored the winner from the penalty spot, the fourth successful spot-kick of the evening, and there was also goals for Dougie Freedman, trialist Simon Thomas and teenager James Dayton. However, it was new signing Nick Carle who impressed the most for Palace, playing a part in all three of his side's goals scored while he was on the pitch and manager Warnock warned there was more to come from the Australian. He said: "I think there's a lot more to come from Nick yet. I've just said to him I expect a lot more from him and there's little things that I think can make him a better player. "I thought the first half was good, we played most of the first team and I thought that was a good workout, the best we've done in pre-season. "The pitch was good and it's better playing against good players. "It was a sloppy mistake for the first goal but we haven't worked on the back four at all yet, we've got two or three weeks on that. Overall, I was very pleased. We looked sharper and we looked a lot fitter. "Then I was happy when the kids came on, I thought they looked sharp second half. There's been quite a few plusses for me really." Warnock named a strong side to start the match, including summer signings Carle and Paddy McCarthy and trialist Thomas, who has scored 32 times in 79 appearances for Boreham Wood, as well as a return from injury for Carl Fletcher. Both sides had goals disallowed for pushing before Aldershot took the lead in the 21st minute when McCarthy's woeful back header was intercepted by John Grant and he slipped the ball past the advancing Julian Speroni. McCarthy almost made amends when he headed against the bar two minutes later before Jose Fonte won the first penalty of a bizarre match in the 32nd minute. Having exchanged a neat one-two with Carle, the Portuguese was clumsily felled by Lee Canoville and Freedman stepped up to score in the top-left corner. Palace went ahead before half-time when neat play from Freedman and Carle saw the latter play Thomas through and he made no mistake from twelve yards. Warnock made five changes at half time and it was one of the substitutes who gave away the second penalty of the evening. Aaron Dalhouse looked to get the ball when he slid in on Marvin Morgan but the referee pointed to the spot and Morgan dusted himself off to score off the inside of the post. Carle, Sean Scannell and sub Kieran Djilali all went close before Danny Butterfield's needless push on Grant saw the referee award yet another penalty, which Grant scored to give the home side the lead in the 65th minute. Smith hit the crossbar for Palace and Andrew headed over before Carle's delicious chip put Dayton through and he bundled the ball under Shot keeper Mikhael Jaimez-Ruiz. Butterfield had to clear off the line from Junior Mendes but Palace got the winner as Jaimez-Ruiz tripped Andrew in the box for the fourth and final penalty of the game, neatly converted by Smith in the 82nd minute. There was still time for Aldershot to have one last chance but a superb tackle from Dalhouse prevented Morgan when he seemed to be clean through. Speaking after the match Shots manager Gary Waddock told the Aldershot News, "It was a good game of football and very entertaining for the fans," he said. "It was another good fitness exercise for us as well, and the fitness is improving as the games go on, so I'm more than happy. "I'm pleased with where the players are at this point. There has been an edge to training and I think in the two games we have played already, the levels have been good. "Tonight's game was one of penalties and disallowed goals and we looked good coming forward, so it was a good one for people to come and watch. "We played against a good Championship side who kept the ball well. We had to cover a lot of ground to close them down. It was a good excercise." Shots: Bull (Jaimez-Ruiz 58); Canoville, Blackburn (Miller 46), Charles (Newman 46), Howell; Hudson (Elvins 58), Harding, Donnelly (Chalmers 46), Straker (Soares 46); Hylton (Morgan 46), Grant (Mendes 67). 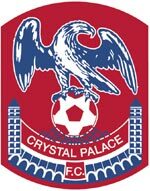 Palace: Speroni; Butterfield (Bingham), Fonte (Ertl 46), McCarthy (Dalhouse 46), Hill (Wiggins 46); Derry (Comley 61), Fletcher (Smith 58), Carle (Trialist); Freedman (Dayton 46), Andrew (Trialist 46), Scannell (Djilali 61).